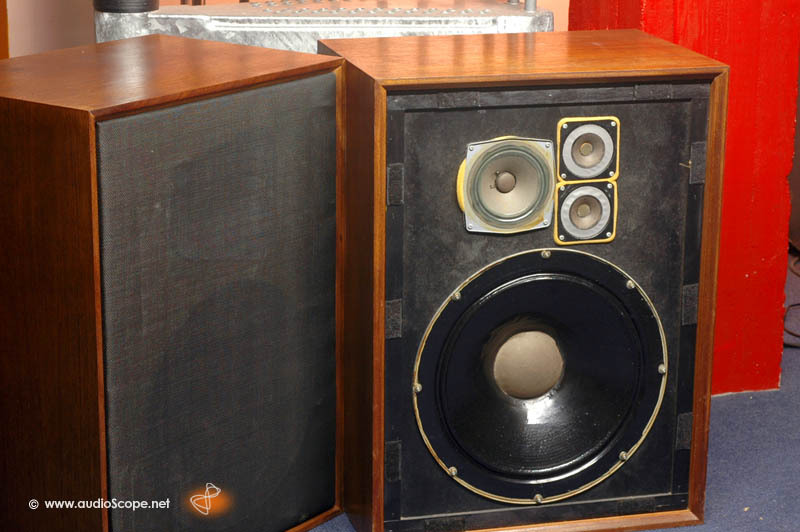 High efficientcy loudspeaker from 1969. 38 cm/15 inch bass. Units in good condition, but not for collectors. 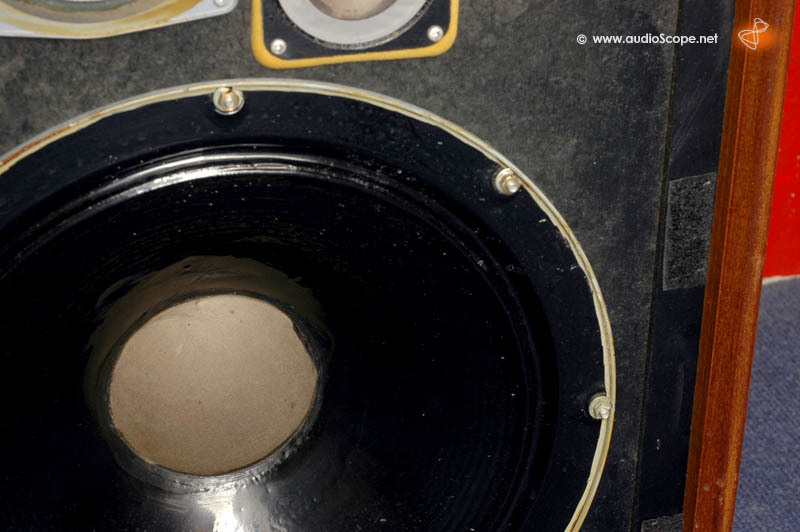 One woofer has been repaired, see pictures. It plays perfectly, but the optics are not perfect. The wood is ok, could need a refreshment. No damaged corners nor deep scratches. With a day of work and a replacement woofer they come out like new.